Changing out your refrigerator water filters regularly will make your drinking water much healthier and great tasting. Refrigerator water filters are known to make incoming water noticeably taste much better than if it was left unfiltered. A water filter will protect you from dangerous microbes and greatly reduces the presence of heavy metals, pharmaceuticals and chlorine present in your water. 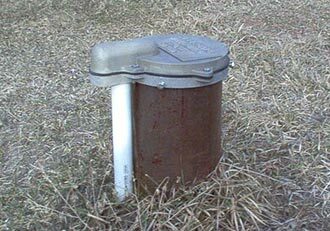 If you get your water from your own well on your own property, there’s a chance that there’s some microbial contamination in the water. This can be bacteria, viruses, and other harmful protozoan parasites. Additionally, there’s chance that traces of agricultural pesticides, herbicides and naturally occurring contaminants may have found find their way into your well through the local groundwater. Major brand name refrigerator water filters can greatly reduce your exposure to these contaminants. If you receive your water from a town or city water source, the municipal treatment plant has treated the water to kill off bacterial contamination. However, the chemicals used to do this are harsh and are toxic. Chlorine and other chemicals are effective disinfectants which destroy harmful microbes, but they remain in the water when it reaches your home. They’re very unhealthy to consume. Recent studies have demonstrated that people who consume chlorinated and fluoridated water are much more likely to suffer from cancer than those who don’t consume it, up to 93% more likely. Additionally, dangerous compounds known as trihalomethanes are produced when the left over chlorine mixes with small amounts of organic compounds, also present in the water. 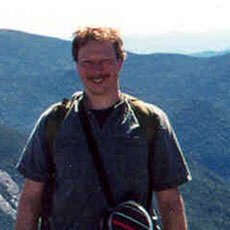 Trihalomethanes are highly carcinogenic that stimulate the production of free radicals within the body. This leads to sell damage and encourages cancer development. Does My Refrigerator Have a Water Filter? 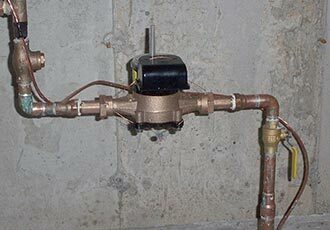 If your refrigerator came with a water dispenser and or an automatic ice maker, then your refrigerator can be supplied directly by a cold water line in your house. 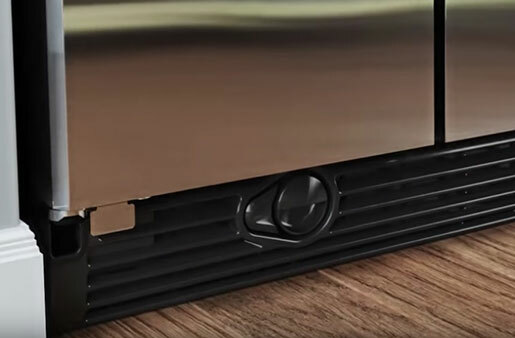 Refrigerators with water dispensers and auto ice makers are designed with a filter port where a water filter can be attached. Fridges usually come with a bypass adaptor in place. 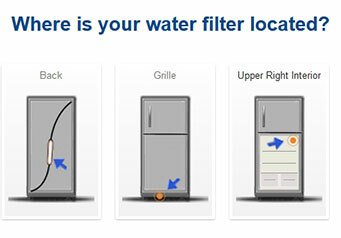 When you’re ready to install a water filter in your fridge, you can remove and replace it with a filter. NOTE: Don’t discard your fridges bypass adaptor! You’ll need it if you ever want to use the water dispenser and ice maker without the fridge filter. 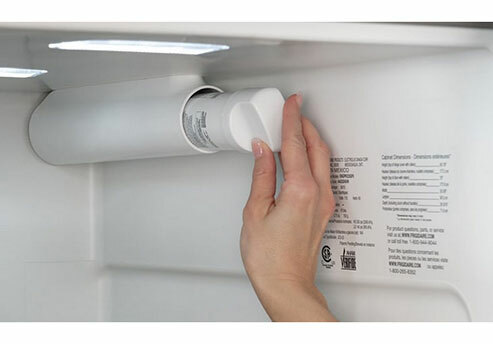 Depending on the model, these filter ports are either inside the fridge, or in a pocket at the foot of the fridge, and sometimes they’re installed at the rear of the fridge. Some refrigerators have multi-ports so that you can insert multiple stages of filters. How Do Refrigerator Water Filters Work? Incoming water to the refrigerator is first passed through a multi-stage filter. The filter collects contaminants, such as bacteria, sediment, and chemicals to improve the taste and odor of the water that’s fed to the dispenser and used to make the ice cubes produced by the refrigerator. 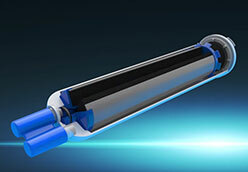 What Does A Refrigerator Water Filter Remove? Whether your fridges takes a multiple filter, or just one filter cartridge, the better filter cartridges will usually provide for three stages of filtration. The first stage will filter out larger particles from the water stream, such as silt and sediment, rust or other larger particulates. Cut away of a typical fridge filter. This filter media can be as simple as a fiber wound around a core, or it can be a poly material with tiny pores. Particles that are larger than the pores are effectively prevented from passing through it. The incoming water is then channeled through the second stage. This secondary stage filters out most of the smaller, finer particles and contaminants including most bacteria and organic compounds. The incoming water is then funneled through the third stage, the activated carbon filter. Note: “Activated” carbon – means that the carbon filter has been heat treated to greatly improve its adsorption properties and filtration capacity by adding pores and cavities to the carbon material. This increases the surface area of the chemical-absorbing carbon, and greatly improves its effectiveness. One tiny gram of activated carbon has a surface area in excess of 3,000 m2 (32,000 sq ft). Active charcoal carbon filters are most effective at removing chlorine, particles such as sediment, volatile organic compounds (VOCs), taste and odor from water. No water filter can work well forever. By its very nature of pulling contaminants out of the water, it will gradually become fouled and become less and less efficient at doing its job. Replacing a fridge water filter. Filters can be classified as either mechanical filters, where water and other substances are mechanically separated by tiny holes (pores) in the filter material. Filters have a limited lifespan because these pores become clogged and can no longer allow water to pass through them. Similar to mechanical filters, carbon filters also become fouled over time. As the carbon filter becomes saturated with foreign matter, it increasingly becomes less able at removing chemicals from the water. How often should you change the water filter in a refrigerator? Most refrigerator manufacturers recommend that water filters be replaced not more than every six months with normal usage. Your filter should be changed out sooner if your family’s water usage is heavy, or if you know if the water quality has gone down. Be aware that you may need to change it out much sooner if you water is low quality to start with. By staying in tune with the general 5-6 month schedule, you’ll assure that your drinking water is the best-tasting and safest it can be. Some fridge filters come with indicator lights to let you know when to change it. Can I Tell If My Refrigerator Water Filter Needs Changing? No filter is as effective as when it is first installed. Through usage, it gradually becomes less and less effective. Refrigerator Water Filter at floor Grill. We all know that filters are costly. If you’re trying to save yourself some money, you’re likely to extend the change out interval. If you do, you may wonder if there are signs you can look for to determine the condition of your water filter. You may be able to tell if your filter is no longer effective by trying to notice a change in the taste or quality of your filtered water. You might be able to, but be aware that these changes can be very subtle. Some filters will allow you to visually see if the outside layer becomes visually dirty or encrusted with contaminants. If you notice a buildup on the filter, it’s best to change it out. Also, if you notice a slower flow from the water dispenser or that the ice maker is having a hard time keeping up with your ice usage, then that’s a good indicator that your refrigerator water filter needs changing. You may as well just bite the bullet and change it. Should you drink water from the refrigerator if the filter needs changing? If you forgot to change your filter or intentionally went way past the normal maintenance schedule, it’s probably best to change the filter right away. Personally, I begin to wonder if the filtered water coming out of the dispenser contains more contaminants than before it was filtered. With a very contaminated water filter, I suppose this is a possibility. At the very least, incoming water isn’t being cleaned as it should be. If a carbon filter is completely fouled, and it had reached its capacity, there are so few surfaces left for pollutants to bond to, incoming contaminants will flow right through it and into your drinking glass. Previously captured contaminants may be displaced by newer contaminants that have stronger chemical bonds to the carbon, forcing the older contaminants into the water flow being dispensed into your glass. According to the EPA, it’s very important to follow the recommended replacement schedule for your fridges water filter, as they lose their capacity to be effective when they’re fouled. NSF International (www.nsf.org), is an independent, non-profit organization that sets standards for product certification, conducts tests and audits and other things for public health and the environment.